Today we have some great news to share. Michael is partnering with The Related Group and Terra Group to design a restaurant at Park Grove, the highly anticipated residential enclave steps from Biscayne Bay in the heart of Coconut Grove. The team assembled for this project is world class, and we are very energized to be a part of it! The 3,500-square-foot restaurant, designed by the globally recognized boutique design firm Meyer Davis, will sit at the intersection of Tigertail Avenue and Mary Street, facing Coconut Grove’s lush residential community. The idea is to combine the elegance and sophistication of The Cypress Room in a more casual neighborhood environment. 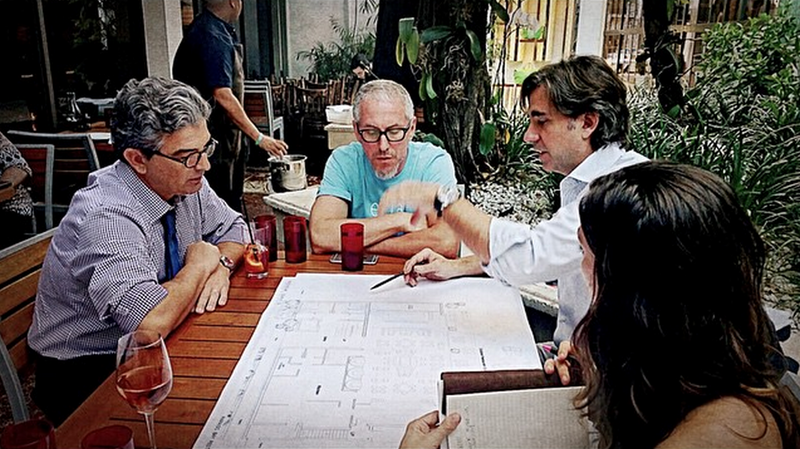 Michael with Will Meyer of Meyer Davis Studio, and Carlos Rosso, President of Condominium Division at The Related Group, in April as they reviewed plans for Michael’s restaurant at Paraiso Bay. Inspired by the exceptional natural scenery at his street-level doorstep, Michael is looking to draw the outside in and reflect the Grove’s historic significance to South Florida and unique, village lifestyle. An additional 1,000-square feet on-premise for private events will service the occasion needs of year-round locals and visitors alike. This is our third collaboration with Related, including culinary outposts at SLS Hotel & Residences in Brickell (opening summer 2016) and Paraiso Bay Restaurant & Beach Club in Edgewater (opening 2017). Michael will be the exclusive in-house service provider for the restaurant, catering, pool and bar service on property, which comes with many perks for Park Grove residents. Amenities will include special seasonal menus, catering through concierge services for boat owners with vessels docked at Grove marinas, boxed lunches to go for families and kids, and exclusive access to a restaurant preview pop-up event by Regatta Park. The concept is fashioned around Park Grove’s award-winning, curated lifestyle—a collaboration born through two of Miami’s most established developers, The Related Group and Terra Group—with architecture by OMA/Rem Koolhaas, interiors by Meyer Davis, kitchens and baths by William Sofield, a two-acre sculpture park by Enea Landscape Architecture and lifestyle curator Colin Cowie. For more information on the project as it develops, follow @Related_Group and @ParkGroveMiami on Instagram, and for a refresher of what we’ve been up to lately with Related, click here. The opening of Paraiso Bay’s Beach Club and waterfront restaurant is not quite on the horizon yet, but the collaboration between Michael and Meyer Davis Studio is in full swing. At their New York-based design firm, Principals and Partners Will Meyer and Gray Davis specialize in residential, hospitality, retail and workplace environments. While still working drawings on paper at this stage, the space and kitchen is laid out with a distinct direction thanks to a solid working relationship. Carlos Rosso, President of the Related Group’s condominium development division meets with Michael and Will Meyer of Meyer Davis Studio last month at Michael’s Genuine Food & Drink in the Design District. The team has been meeting regularly to review plans in stages and communication is key. When starting this project, Michael came in with a clear vision of what he wanted. The restaurant’s open kitchen and wood grill — something that’s been a centerpiece of private events at the property’s sales center off Biscayne Bay — will be a focal point, as is the importance of bringing the amazing location on the waterfront into the restaurant. This restaurant is meant to be a space that residents should feel comfortable making their regular spot. The Studio thinks a lot about how guests will engage with its projects, from families enjoying a meal out together, to more romantic evenings, and even special events. Related is currently preparing to launch the final 55-story residential tower within the Paraiso enclave. The GranParaiso Tower by Piero Lissoni will begin sales early May. 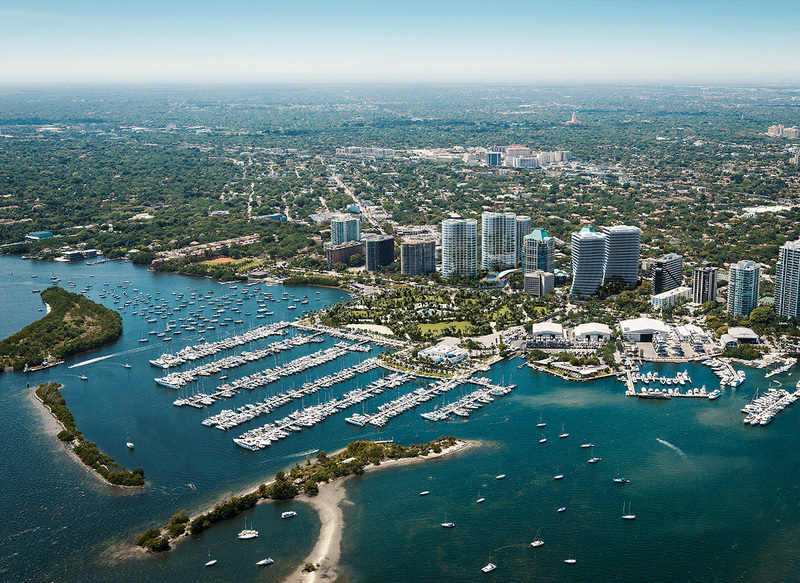 Come toast the vision for Edgewater, the new neighborhood in our future on Biscayne Bay. Join Michael for complimentary snacks & drinks inspired by his future Paraiso Beach Club restaurant tonight Wednesday, April 8 from 5:30-7:30 p.m. at Michael’s Genuine Food & Drink (130 NE 40th Street.) For more information about Paraiso Bayviews please contact info@paraisobayviews.com. FOR THE EVENT IN PICTURES, CLICK HERE. Join us Tuesday, January 27 at 6:30 p.m. for Slow Food’s annual Ark of Taste benefit event bringing all of The Genuine Hospitality Group chefs together for the first time! In its 6th year, this special evening unfolds on the waterfront site of chef Michael Schwartz’s future beach club restaurant at Paraiso Bay to celebrate his local legacy of slow food in South Florida. At the forefront of a meal from indoor and outdoor food stations is the Ark-nominated Florida stone crab, sourced from George Stone Crab, a local small business, and ingredients from the South Florida harvest including Michael’s Genuine Food & Drink Chef de Cuisine Niven Patel’s backyard Rancho Patel and other farms served by Farm to Kitchen, a local produce distributor. Cocktails by GREY GOOSE Vodka and sustainable wines by Stellar Wines will complement food by Restaurant Michael Schwartz at The Raleigh and Chef de Cuisine Molly Brandt, Michael’s Genuine Food & Drink and Chef de Cuisine Niven Patel, The Cypress Room and Chef de Cuisine Roel Alcudia, Harry’s Pizzeria and Chef de Cuisine Daniel Ramirez, and Chef Schwartz with The Genuine Hospitality Group Executive Chef Bradley Herron will offer a taste of food inspired by this future waterfront restaurant and beach club. The meal would not be complete without famed Genuine Pastry Goddess Hedy Goldsmith’s desserts. Can’t wait to see what she comes up with! Tickets are $195 per person, with proceeds benefitting Slow Food Miami’s Edible Garden Program. Paraiso Bay is located at 600 NE 31 St. Miami, Florida 33137. Royal Red Shrimp & Quinoa Salad with yogurt sauce, Chargrilled Lamb on cucumber with fennel and kumquat preserves, Local Tuna Crudo with carrot ginger juice, sunflower seeds & sprouts, Market Crudités with paddle fish caviar & smoked trout roe butter, Heirloom Tomato Gazpacho, Beef Tartare on garlic toast with lemon aioli, crispy shallot & herbs, and Seeded Wood Oven Flatbreads with Spanish sheep’s milk (Idiazabal) cheese, shaved vegetables, sprouted grains & tomato fondue. Michael’s Genuine Home Brew. The Chantwell, a welcome cocktail of Clement Agricole Rhum, Velvet Falernum, hibiscus-citrus kombucha, mixed berries, and lemon. Sound delicious? 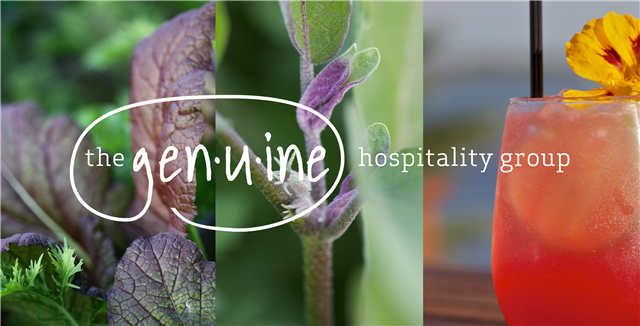 So does welcoming to The Genuine Hospitality Group family a new restaurant to the shore of Biscayne Bay. Toast your own paradise at home with The Chantwell. Click the image above for The Genuine Hospitality Group beverage director Ryan Goodspeed’s recipe. Plans for a waterfront restaurant and luxury beach club were announced yesterday, a collaboration between Michael and the CEO and Chairman of The Related Group Jorge Pérez. Located in the East Edgewater neighborhood, the new concept is our second partnership with Related, on the heels of the SLS Brickell announcement. Kicked off last Friday evening with friends and colleagues close to the project, the future restaurant will no doubt be inspired by the magic hour bay views of sky and water ablaze in golden pink and aquamarine, and our fearless leader’s hallmark approach to food, drink and fresh ingredients. The Related Group was established in 1979, and is America’s leading developer of sophisticated metropolitan living. For more than 30 years, The Related Group has created innovative residential developments that have dramatically changed South Florida’s urban landscape. Since its inception, the privately held company has built and managed more than 85,000 condominium and apartment residences. The Related Group has earned a national reputation for its visionary design and development of luxury condominiums, mixed-use center and affordable rental properties – often in emerging or undiscovered neighborhoods. The firm is one of the largest Hispanic-owned businesses in the United States with a development portfolio of projects worth in excess of $15 billion. TIME Magazine named Mr. Pérez one of top 25 most influential Hispanics in the United States, and has made the cover of Forbes twice. The Related Group has redefined the new cycle of real estate with the rollout of over 12 projects beginning with Apogee Beach in Hollywood and MyBrickell in downtown Miami, the first in each of their respective neighborhoods to be completed since the boom.